What Is Happening with PFI's EPA Lawsuit? What is Happening with the PFI's Lawsuit Against the EPA? We filled our "petition for review" after learning from our attorneys that if we did not file, we would lose our chance to challenge the regulations in the future. At the same time, we sought to have a continued conversation with EPA about making changes to the final rules. Those of us in the PFI that have participated in these dealings have quickly learned that the U.S. government can be difficult, and slow, to deal with. Since the regulation is now final, they in a sense, "hold all the cards" since it will take additional regulatory action to change the requirements. In addition, after the 2016 elections, the upper leadership of DOJ and EPA changed and is still undergoing change. In this context, and with a full litigation docket covering many major rules, I think it is safe to conclude that EPA and the DOJ had many priorities in which our litigation matter was only one. Congress: Congress returned to Washington this week following the August recess to confront several "must pass" items in September. For one, legislation to fund the government, which was enacted earlier this year expires at the end of September. The Senate voted Thursday on a package that would fund the government through December 8 and also lift the debt ceiling (which we are also about to bump up against) to align with that same date. This package is being combined with a multi-billion dollar funding measure to assist with Hurricane Harvey relief. This relief package looks to be the first of what could be many installments as Hurricane Irma churns ominously toward the Southeastern U.S. coast. House and Senate leadership are signaling, and the President is tweeting, that tax reform continues to be a priority this fall. The House is expected to take up reform legislation in the October time frame, while the Senate looks to follow sometime in November. This appears ambitious at this point, but obviously we are engaged in the process and will keep you apprised of developments. NSPS for Wood Heaters: Next week, the House Energy & Commerce Committee will hear H.R. 453, legislation that would delay Step 2 of the New Source Performance Standards until 2023. The bill has bipartisan support and is likely to be reported from committee in the coming weeks. Please following this link to see the announcement for the hearing. Also next week, companion legislation to H.R. 453 is expected to be introduced in the Senate. Leading efforts in the upper chamber are Senators Shelley Moore Capito (R-WV) and Claire McCaskill (D-MO). SPR has extensive experience in manufacturing films and bags that perform consistently on a multitude of industrial bagging lines. Our heavy duty films offer toughness, superior seals and performance, which help achieve higher production rates, less down time and improved productivity. Attention to detail and state-of-the-art printing and converting equipment allow us to make products that stand out among the crowd when displayed in the retail space. 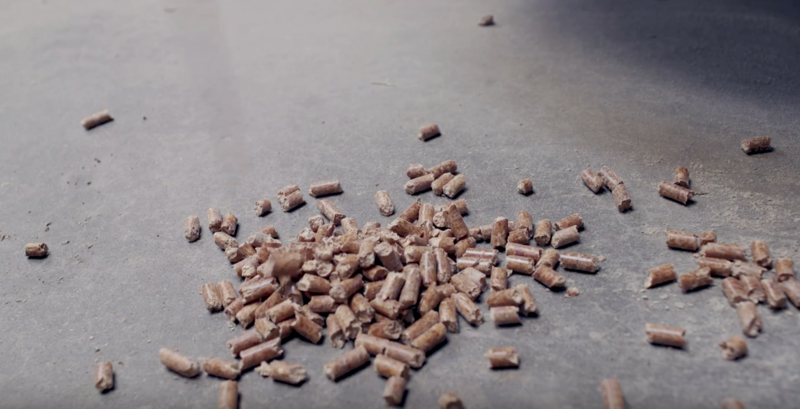 The Pellet Fuels Institute this week announced the qualification of PA Pellets of Ulysses, Pennsylvania, to the PFI Standards Program as the 38th facility qualified for the program. The PFI Standards Program is a third-party accreditation program providing specifications for residential and commercial-grade pellet fuel. PA Pellets' parent company, Biomaxx, Inc. previously qualified its Arcade, New York facility Dry Creek Products into the program. "We at Biomaxx are thrilled that our second facility, PA Pellets, is now qualified by the PFI Standards Program," said Chris Modesti, President and CEO of Biomaxx. "We want our customers to know how much we value quality, and we've worked hard to ensure that our product meets the high standards set by the program. Our product hasn't changed except for the Quality Mark, which will appear on our bags to remind our customers that they are getting the highest quality pellet. Our pellets will keep you warm while helping to extend the life of your pellet appliances." Read the full news release on PFI's website. The International Bioenergy Conference and Exhibition is being reborn as the Canadian Bioeconomy Conference and Exhibition. "The original name and mandate were chosen to focus attention on the emerging bioenergy industry in Northern BC and on creating a venue for Canadian wood pellet producers to connect and network with their customers and colleagues in other parts of the world," explained Jim Martin, Chair of the Board of Directors of the conference. "The bioenergy industry in Canada has grown and matured since we founded the conference in 2004. We felt it was important that, as the leading conference of its kind in Canada, we should reflect the diversification in the use of woody biomass across the full value chain of bioproducts." Celebrating its 10-year anniversary just in time for some cooler weather, a local wood pellet distributor is continuing to grow and eye future expansion. Wood Pellet Warehouse, located on Route 17 in North Jay, opened in 2007 under the stewardship of Steve Barker. A former employee of G.H. Bass until the 2004 shutdown in Wilton and Jay, Barker purchased an old Bass warehouse and opened a redemption center. Three years later, he expanded his business to distribute hard and softwood pellets for wood pellet boilers and stoves. In 2015, the Warehouse began offering bulk pellet delivery throughout the state, under the management of Barker's son, James Barker. Since 2007, James Barker said, the company has seen its business increase from an initial order of 30 tons to the annual delivery of 6,000 tons of pellets and other products to more than 3,000 customers. Barker said that he expected the company to end the year at 6,500 to 7,000 tons of distributed product. "Once we get this cold weather, the phone starts ringing off the hook," Barker said. The Wood Pellet Warehouse employs four, other than the Barkers, and operates out of the North Jay warehouse and a satellite location in Turner. James Barker said that the company intends to open a new location in Winthrop in the next year or two. Making lumber is a bit like peeling a banana. The peels, in this case 16-foot lengths of bark-clad hemlock, are stacked beside a small sawmill here at Treeline Inc., a diversified forestry operation on the access road to Lincoln. But that waste wood has value. Last fall, Treeline could turn the slabs into chips and truck them an easy 17 miles along the Penobscot River to feed a biomass power plant in West Enfield. Maine lawmakers had recently approved a $13.4 million taxpayer subsidy that allowed a new owner to restart the unprofitable facility. The subsidy reflected a deep concern about what has happened to Maine's forest products industry, a dominant force in the state's economy for nearly a century. Over the past decade, paper mill closures and shifting markets have diminished the industry to a point where the rural Maine forestry businesses most dependent on pulp and paper - the loggers, truckers, sawmill operators - have been forced to envision a new future. After some encouraging signs this year, though, they are coping with a number of setbacks. That has led companies such as Treeline to realize they must become more nimble and diversified to survive the downturn and be positioned for new opportunities. The West Enfield biomass plant is a case in point. Power production has never gotten back to normal. And when the owner had trouble paying suppliers, Treeline stopped regular deliveries. That was February.